James Ruse was granted land here by Phillip in 1791, the first convict to be granted land. He developed Australia's first private farm. In 1793 he sold it to Surgeon John Harris (after whom Harris Park is named). 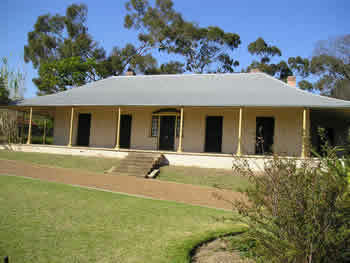 Harris built the cottage on the site in 1834.